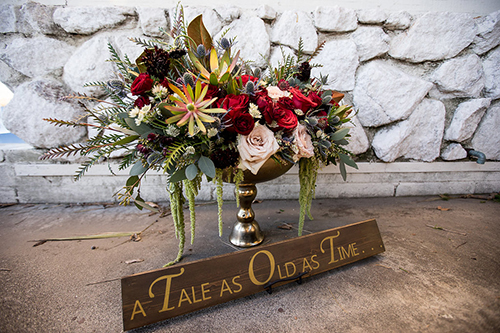 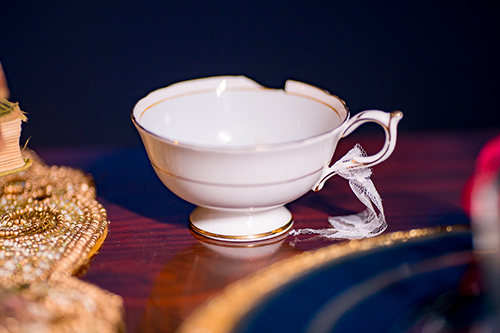 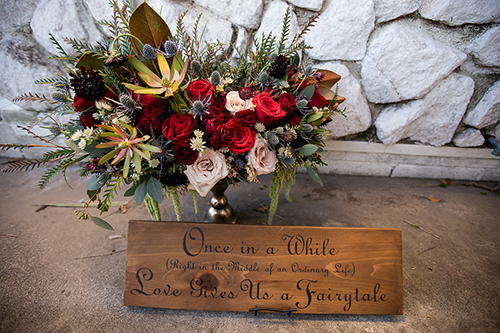 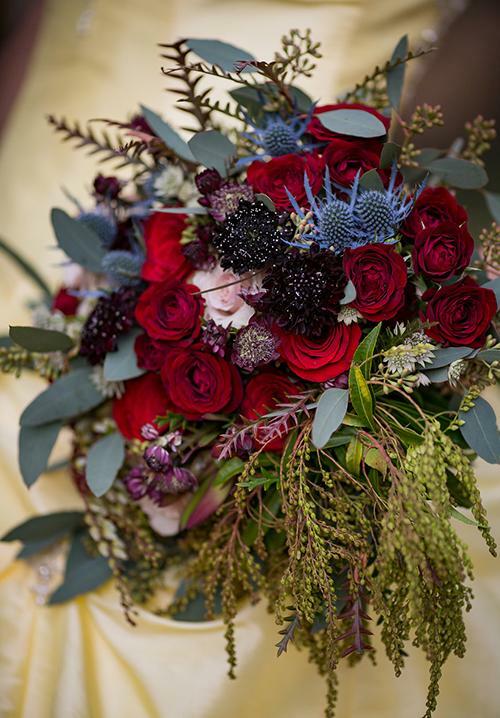 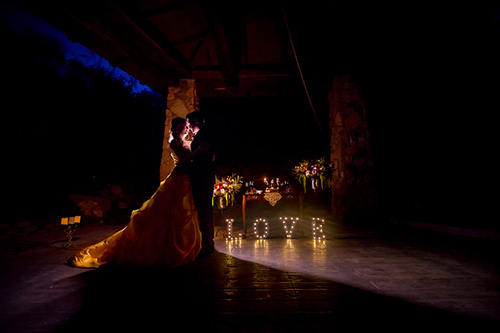 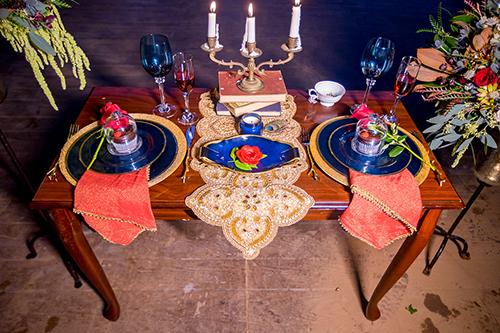 FALLBROOK, California -- The tale as old as time just got a modern wedding reinterpretation that will make 'Beauty and the Beast' fans everywhere swoon. 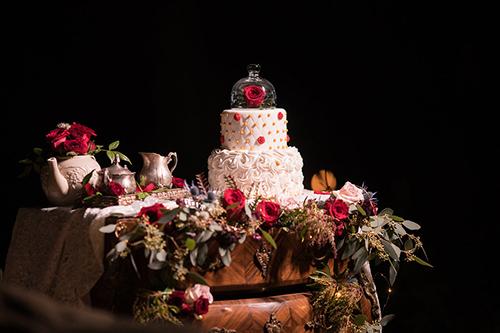 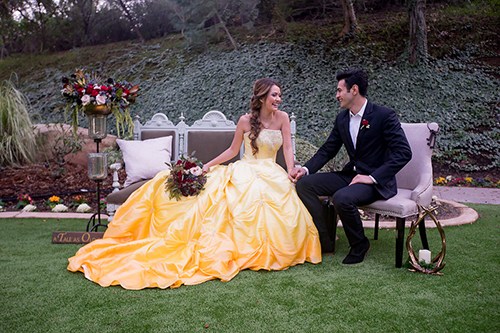 More than a dozen creative professionals in California recently teamed up to pull off a 'Beauty and the Beast'-themed wedding shoot, and the results are enchanting. 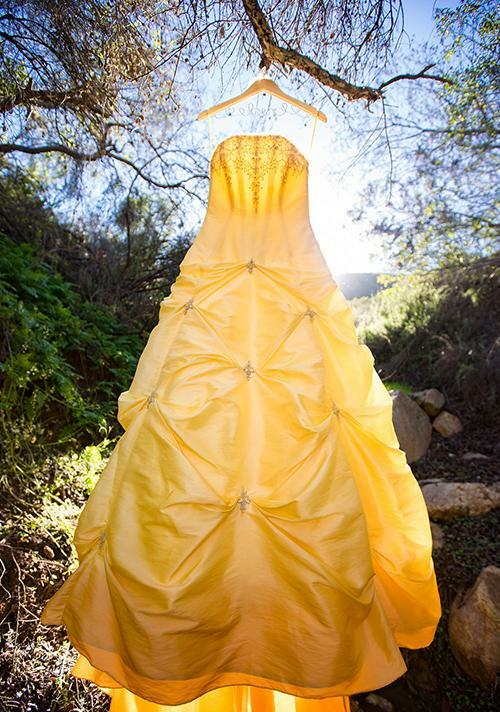 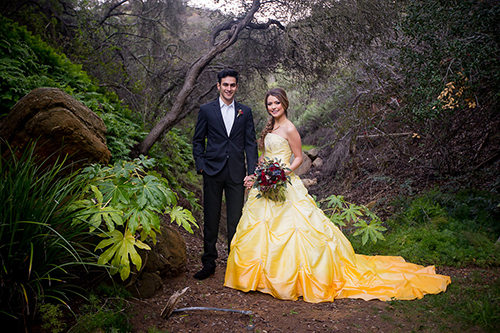 Shot by photographer Raelyn Elizabeth, the shoot nailed every detail of the beloved Disney film, right down to Belle's iconic yellow ballgown, which was re-imagined as a dip-dyed yellow wedding dress. 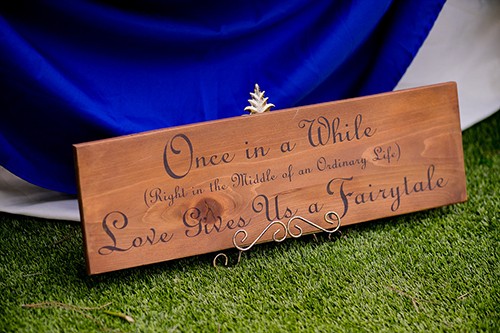 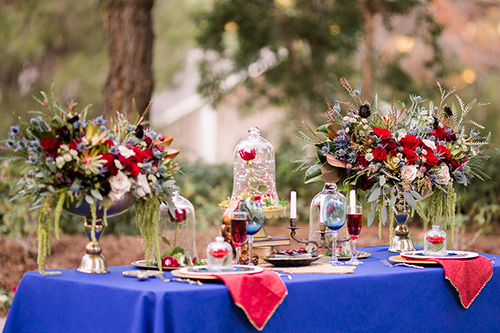 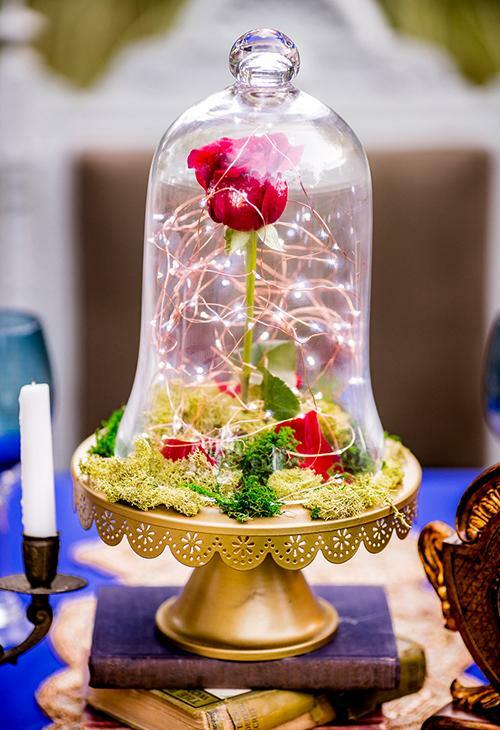 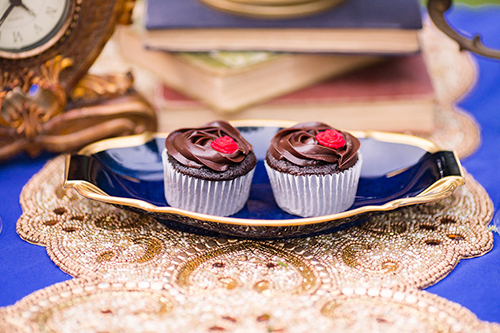 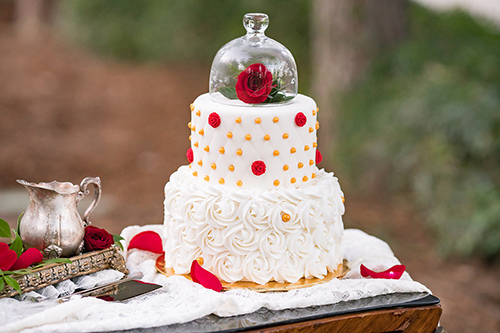 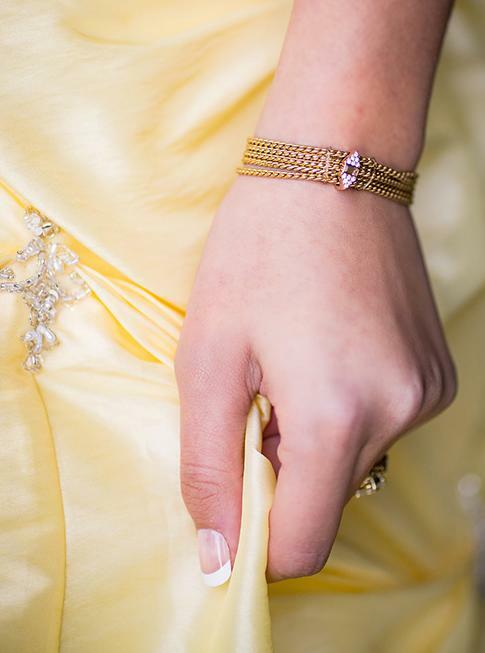 A 'Beauty and the Beast'-themed wedding nails all the details. 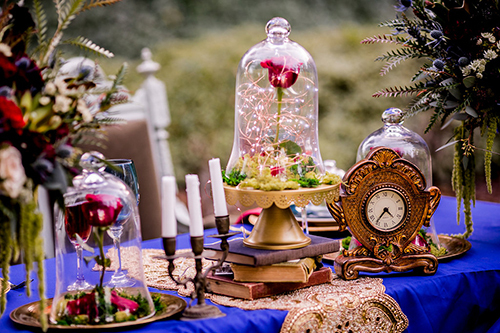 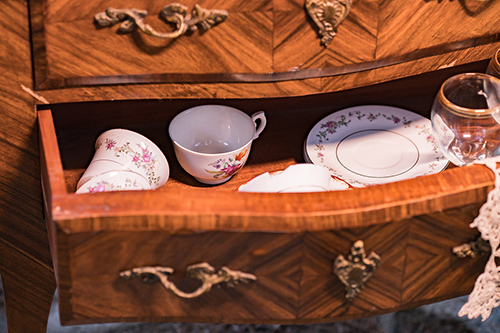 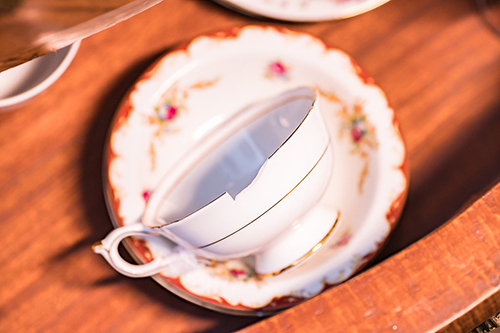 In the charming decorations and table settings, fans will spot all of their favorite characters from the film, like Lumiere, Chip and Mrs. Potts. 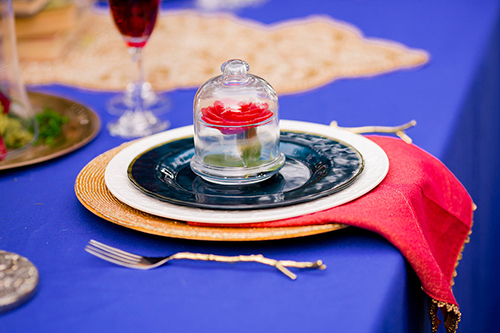 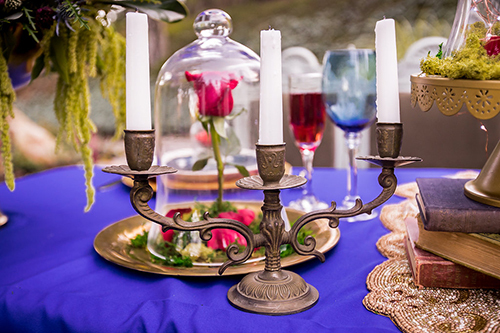 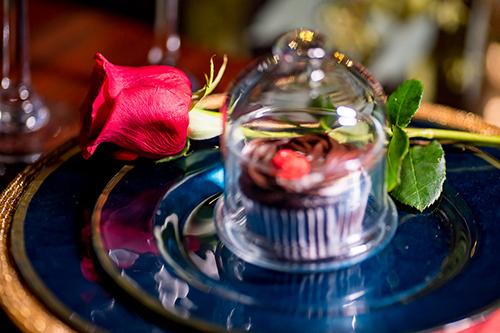 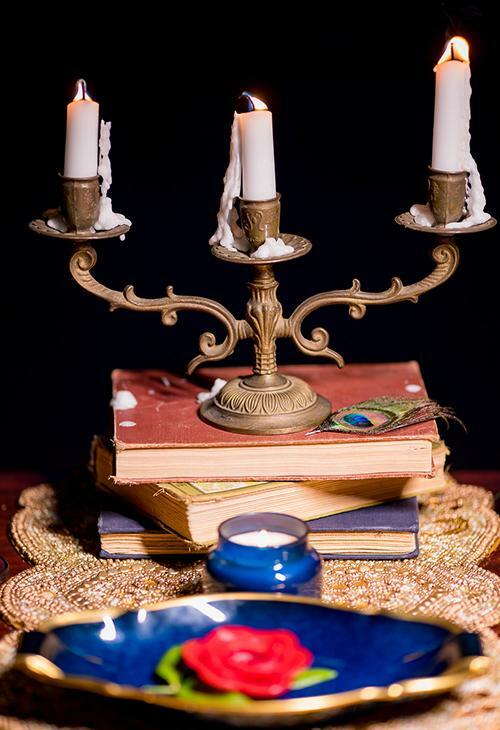 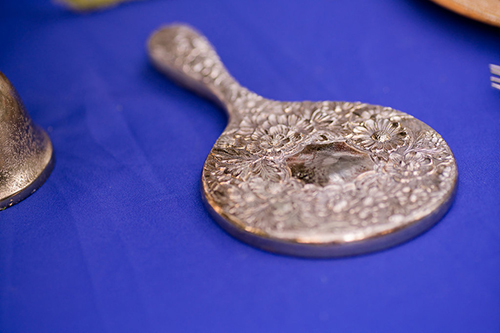 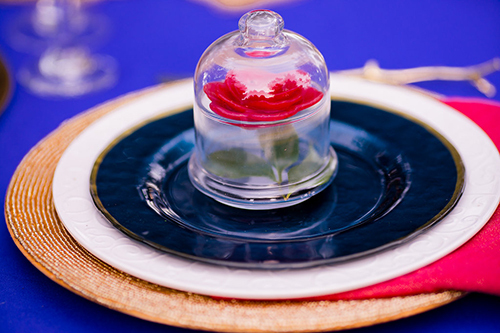 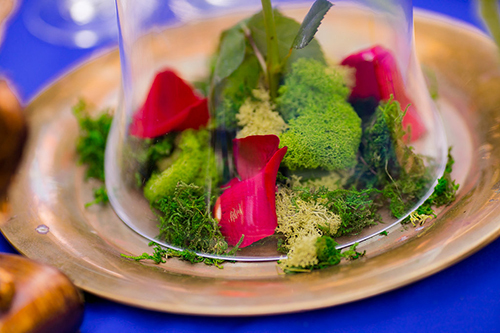 The Enchanted Rose, which serves as a symbol of the Beast's humanity in the film, is also featured prominently on the place settings. 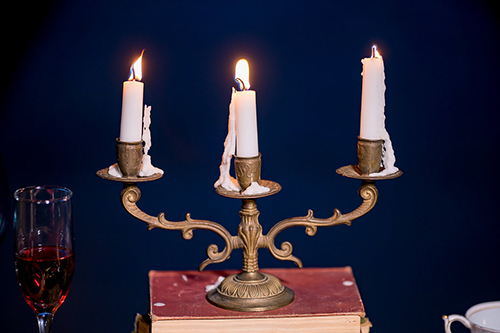 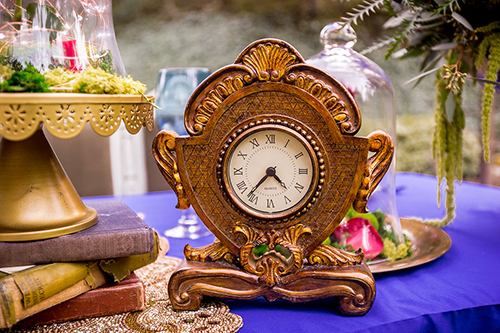 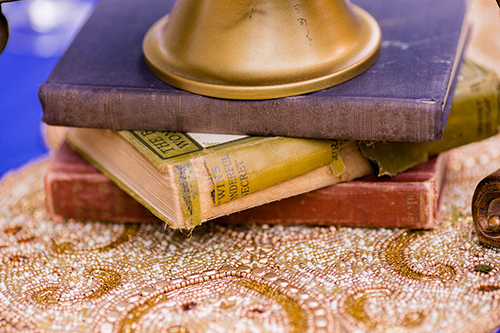 The candelabrum, clock and mirror were sourced from antique malls. 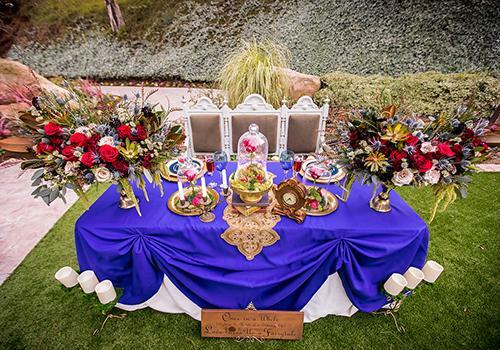 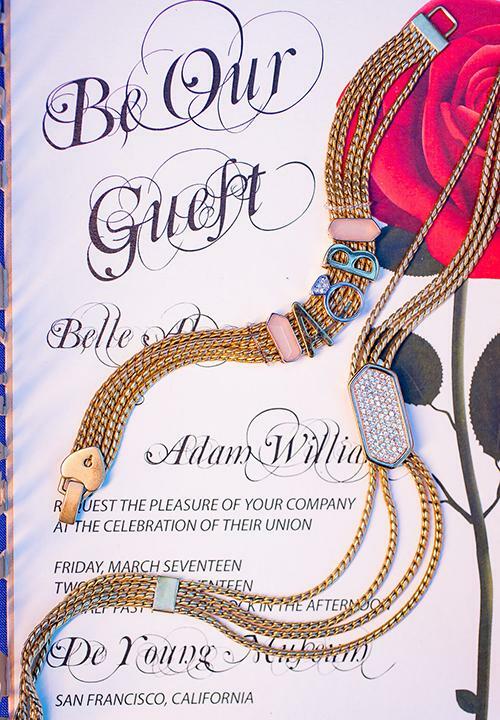 To craft the seating chart, stationery designer Adriana Tacu salvaged books, which also play a central role in the film's plot, and wedding invitations invite friends and family to "be our guest." 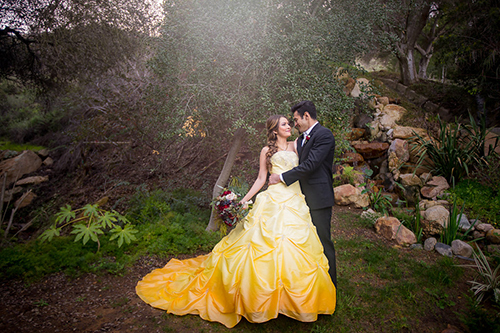 "We are hoping to start a trend of inspired weddings (not cheesy themed weddings) as Disney is releasing all of the live-action movies from our favorite animated stories," Elizabeth told ABC13. 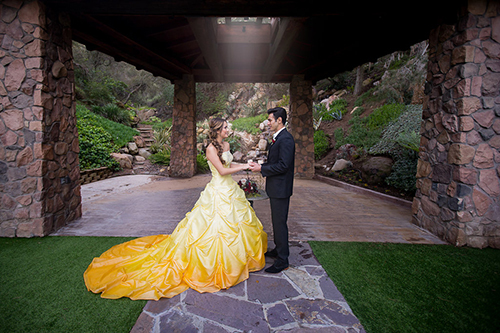 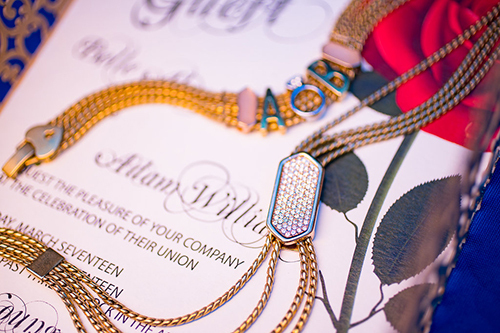 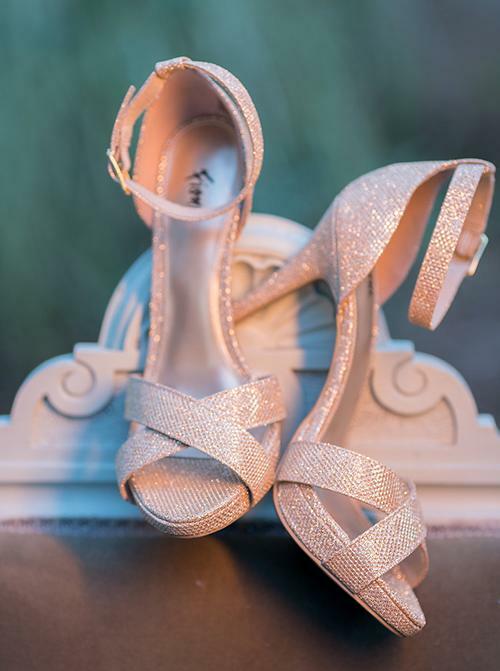 "All in all, we are a team of Disney loving, pixie dust sprinkling, wedding magic making, kids in grown-up bodies just dying to create all kinds of Disney inspired dream weddings," she added. 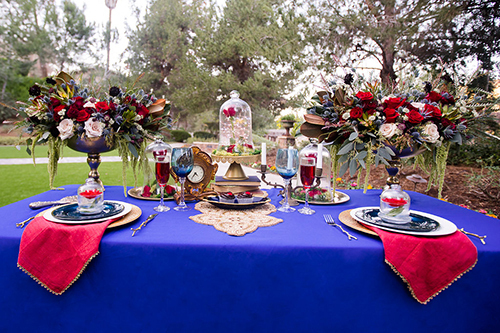 More than a dozen creative professionals contributed to the shoot, including wedding and event planners Tiffany Baldwin and Stacy Everett, photographer Raelyn Elizabeth, floral designer Alicia Yokota, cake artist Perla R Guerrero, stationery designer Adriana Tacu, hair and makeup artist Domenica Prestininzi, jewelry designer Nicolina Alves, sign designer Sandee Fosberg and models KaitLynn Markley as Belle and Fabian Lopez as the Beast. 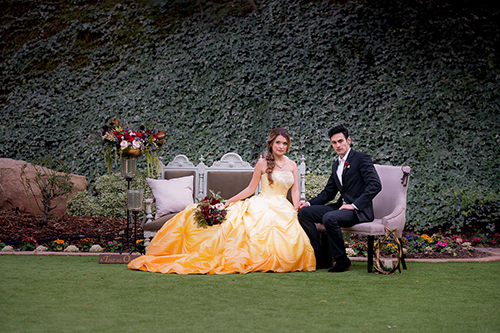 The shoot comes just in time for the live-action reboot of 'Beauty and the Beast,' which hits theaters today. 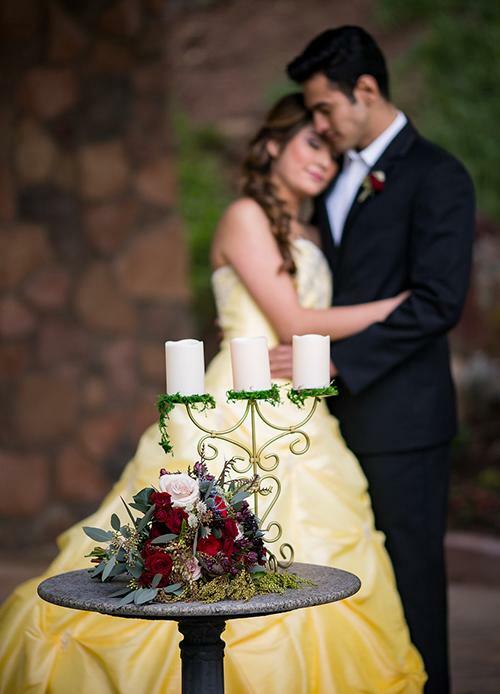 Editor's Note: The Walt Disney Company, which produced 'Beauty and the Beast,' is the parent company of this station.